Happy Healthy and Safe 4th of July! I hope everyone is well. I wanted send out some 4th of July love and healthy food ideas. Also I have included some tasty vegetarian options. Holidays can be tricky when you are struggling vegetarian. Here go some recipe ideas. When friends get together naturally there will be some drinks. Here is a tasty light drink that you can enjoy. 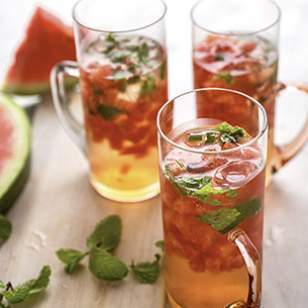 It is watermelon rose sangria. Doesn’t it look tasty? If you want to keep cool and enjoy a relative healthy treat. I got something for you. 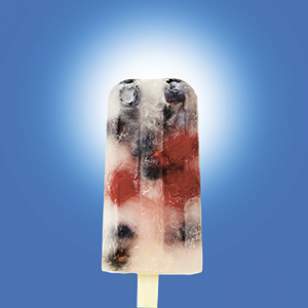 It is a red, white, and blue Popsicle where preparation work is done in the freezer. An important food for any 4th of July cookout is potato salad. 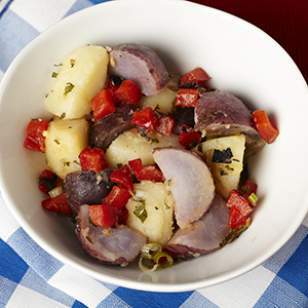 Here is a healthy red, white, and blue potato salad that will win over guests. Most importantly, I want to wish everyone a Happy 4th of July ! Video Blog: Fed up with the Pillsbury Doughboy!! It seems consumers and food manufacturers such as General Mills are focusing on the consumption of more natural food. 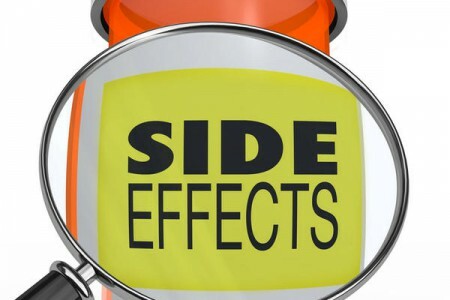 I figured that it was a good idea to review the impact of eating all this artificial food in America.The movie Fed Up gives a good overview and history of the problem. The public and now General Mills knows the solution to the problem of society eating junk food,it is simple just eat real food. Keep an eye out for my blog post later this week exploring why General Mills is shifting towards making more natural foods. Do you think General Mills has good intentions? As someone who craves salads in their sleep, I know that is weird and not everyone has such wonderful interactions with salads. The biggest complaint is that salads are not very filling. The other thing that I notice is that people have either an old or narrow definition of salad. When I say old, it means that it that horrible iceberg lettuce, carrots, and tomatoes. Salads are usually put into the box of always having to include lettuce. Today, I will be shattering all your preconceived notions about salads, while outlining how to make a salad that is filling. Here go the steps to creating a filling salad. Salads don’t necessarily need to include lettuce. 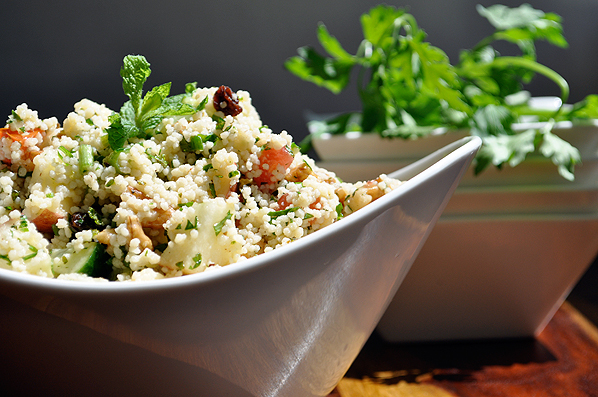 A salad may include whole wheat couscous, quinoa, or even brown rice as base. All of those salad bases would fill you up along with having a slow metabolic burn. Yes, I know, but you say lettuce based salads don’t fill you up. My suggestion is not to use iceberg lettuce. Kale, Spinach, baby Spinach, and dark green leafy red romaine are very filling lettuce. These lettuces will assist you in filling full. These types of veggies will assist you creating a filling salad such as: avocados, cucumbers, cheese, eggs, tomatoes, broccoli, carrots, and cauliflower. This is critical choice when eating a salad. 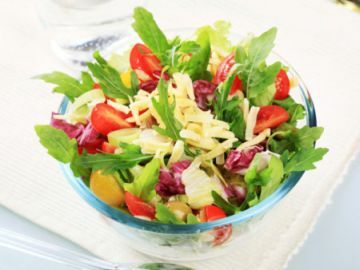 The creamy salad dressings tend to put on the extra pounds, so select carefully. Oil and vinegar with spices are an easy low-calorie salad dressing. Generally, a salad dressing that is oil based will be fewer calories. Many people are either omnivores or carnivores, thereby desiring some protein on their salad. One has many options if they are vegetarian seeking protein substitute, you can do soy artificial chicken strips, beans, crumpled soy, and tempeh. If you are more of a pescatarian, then a piece of baked fish such as snapper, salmon, or tuna might be your preference. I love cheese and adding it to a salad. I find that it makes the salad tastier. It is my hope that this information makes you rethink salads. They can be filling and tasty. Also my personal favorite is to make a salad with either couscous or quinoa as the base. When I use either of those, the salad really seems to fill me up. Enjoy eating your salad. Happy Fruits and Veggies Month to you! I know many of you have set New Year’s resolutions related to health. This is the time of year when people hit some obstacles. I wanted to let you know that I am rooting for you. My mother would say a try beats a fail all the time. Please just take it one day at time. More inspiration and posts coming. 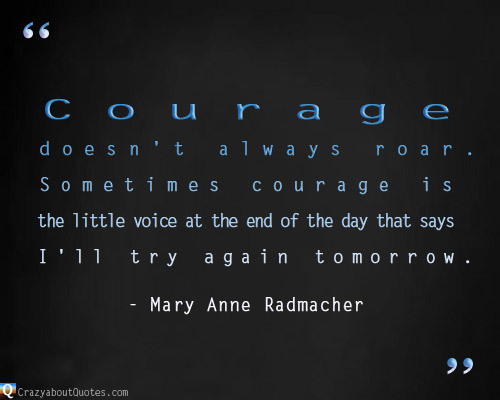 Have an awesome week. Keep warm if you are on the east coast. Happy Holidays to All! This time of the year can be very chaotic leaving no time to workout. This is a no equipment needed workout that anyone can do possibly anywhere. It is my hope that this work out is helpful. Later this week, I will have another post covering my digital thank yous to my colleagues in both health and digital/social media in 2014. Hope this workout is helpful. Hope you are well. It is beautiful fall day. Below I have a included a poll to better understand how to serve you. 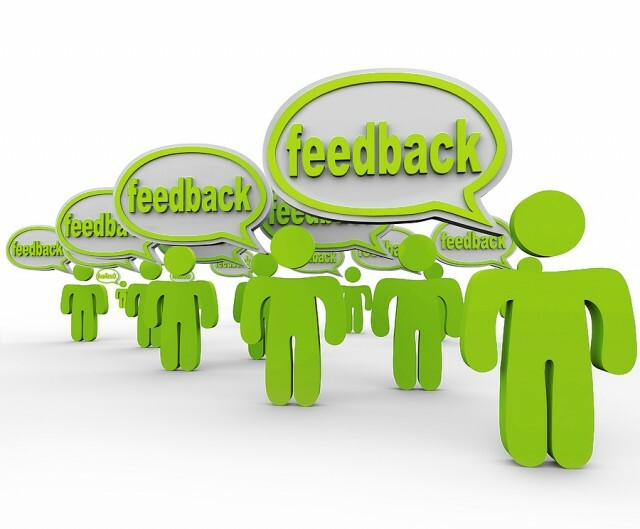 Please provide your feedback, additionally a contact form is included, if you would like to reach out to me.